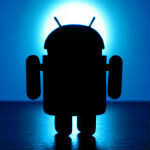 Ever since Google first purchased Motorola, the Android faithful have been waiting for this report. We've all been wondering when Google would finally jump in and make a device in-house, using its newly acquired hardware manufacturer, and it looks like the time is coming. The Wall Street Journal is reporting that Google and Motorola are working on a so-called "X Phone" and a tablet, both of which will be released next year. Not a lot is known about the project, but the plan seems to be that the device will be a straight up Google device and be separate from the work that Motorola is doing with the RAZR line and other products. Former Google product manager, Lior Ron is reportedly in charge of the product. Ron had been part of the mapping team, and apparently is looking to provide great imaging on the new device with a top of the line camera and photo software. The Nexus line hasn't been known for top-notch photography, but admittedly, neither have Motorola devices, so it'll be interesting to see what happens there. Flexible displays, ceramics, and other features to make the devices more durable are being explored, but nothing is definite yet. Word has it that the phone will come first and the tablet later, but no word on when either will be released. Also no word on if these will carry the Nexus name, but that seems likely since it is the brand that Google has been putting on all of its products from phones to tablets and supposedly also the in-house Chromebook that's being made. We'll definitely bring you more when we hear it, but we wouldn't expect much until at least Google I/O which is scheduled for May 15-17.
i think google has made it clear that vzw isnt worthy of the pure google experience. they are far too motivated to cram bloatware onto their handsets. i plan on leaving vzw to get this phone (hopefully). Quad core 2.5 GHz 1080p display with 32 bit color support Key Lime Pie 5.0 5000 mAh battery 21 MP camera with advanced optic and 1080p video at 120 fps, xenon flash and over sampling F1 and aircraft grade aluminium and Carbon materials This would be dream moto of google! I think Google has shown it wants to focus on selling devices unsubsidized. Now, there is always a possibility that a carrier will get the device but I wouldn't say it will ONLY be available on Verizon. Who knows? By then we could be looking at Google-Dish Wireless. Motorola radio, build quality, and quick updates if its indeed a Nexus phone will probably make tech geeks counting the days until Google I/O. That is exactly what I'm looking forward too... Just hope Verizon keeps their grubby little paws off of it. Because of Verizon's control freak nature though, I wouldn't be surprised to see it on a different carrier instead. But, I can dream of a stock Android OS, Moto built phone, free of bloatware from Big Red can't I? No, I don't think so. But if it had an "i", moto should see lawsuits coming. The Motorola Droid X came out in 2010 when HTC had the Evo, Inspire, Droid Incredible & whatever they had on T-Mobile. 2011 the X2 was out while HTC had the Evo 3D, Vivid, Thunderbolt &, again, whatever they had on T-Moble. HTC sueing Motorola over the letter X (which will most likely NOT be in the name of this phone), doubtful. well we on Verizon hope that they get it but uphold with Nexus tradition. it'll be sad if we don't get it because since we've been getting the best Moto has to offer we'll really know what we're missing. 'The X' sounds better...i mean without the 'phone'. Nexus X doesn't sound bad too. They're obviously not going to call it 'X Phone'. That's just the alleged project name. Don't be surprised if X is nowhere in the final release name. Larry Page told Motorola to think big, and Motorola will concentrate on making a single phone. Maybe this is the phone that will defeat iPhone in US. GS3 is a great and successful phone but many US consumers still prefer style over substance, Nexus X can offer both style and substance. An offer that's hard to refuse. U sound as if you've seen it already, but u may also b right. I recently sold my ip5, and bought the galaxy note 2. I love it, but I do miss some things about my iPhone. Maybe this can bridge them. iPhones r more stylish, android more substance... Good point. Exciting. Hope it works out. I'd like to see a quad core lte phone with a massive battery. Add in Motorola's nice builds and this will be a very good phone. Add to that no skin of their own to slow Android down or interfere with Pure experience. Features like Samsung. Its a sell for me. I will ditch my GN2 for it. Nah, I will keep them both. I am saying stock UI + extra features from this phone is my expectation. Like S-Pen integration and plug and play, best face etc. I, over a period of time get bored of touchwiz or sense. I guess, their UI slows down the phone, not the features. Motorola added very few additions to the ICS UI, and I like most of them. This just sounds like the next Gen razor. Having owned only Moto phones since the nineties, I just recently went to the GN2. I have to say the TW stock interface I don't care for but all of the little performance enhancements they have incorporated have greatly expanded upon stock android. I actually like the user experience better. Stock Android isn't enough anymore IMHO. As for build quality in android Moto is really hard to beat. Their radios are second to no one. What I am trying to say I guess is that a stock looking interface with the best of user experience tweaks and motor build and radio would be great. Of course all of this without the need to root would be fantastic! Xphone? Sounds too familiar to... Wait if I say it I'll get sued. Your comment had no meaning whatsoever towards his comment and the article.